Sebastian Faulks, one of Britain's most admired novelists, has written a brand new James Bond novel to mark the centenary of Ian Fleming's birth. 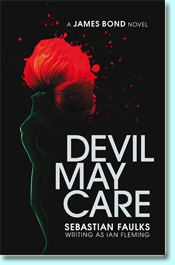 Commissioned by the Ian Fleming Estate, Devil May Care was released by Penguin Books on May 28, 2008. Written in the style of Ian Fleming, Faulks' eagerly-awaited Bond novel is set in the Cold War and, in keeping with tradition, the action is played out across two continents, exotic locations and several of the world's most thrilling cities. However, the plot will remain a closely guarded secret until publication. 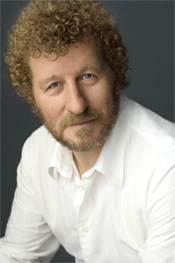 Corinne Turner, Managing Director, Ian Fleming Publications Ltd commented, "We've had Sebastian Faulks in mind for our centenary novel for quite some time. He has an ability to write convincingly in whichever period or genre he chooses and, after reading On Green Dolphin Street, I thought he would be perfect for Bond. Barbara Broccoli, to whom we gave a sneak preview of the book, said that if I had told her the family had found an old manuscript of Ian's in the basement, she would have believed me." I was surprised but flattered to be asked by Ian Fleming Publications last summer if I would write a one-off Bond book for the Ian Fleming centenary. I told them that I hadn't read the [Ian Fleming] books since the age of 13, but if when I re-read them I still enjoyed them and could see how I might be able to do something in the same vein then I would be happy to consider it. After almost five years researching Victorian psychiatry for Human Traces, there was something attractive about a jeu d'esprit which, if I followed Fleming's own prescription, I could write in about six weeks. On re-reading, I was surprised by how well the books stood up. I put this down to three things: the sense of jeopardy Fleming creates about his solitary hero; a certain playfulness in the narrative details; and a crisp, journalistic style that hasn't dated. I tried to isolate the essential and the most enjoyable aspects of the books. Then I took that pattern and added characters and a story of my own with as much speed and as many twists as I thought the reader could bear. I developed a prose that is about 80 per cent Fleming. I didn't go the final distance for fear of straying into pastiche, but I strictly observed his rules of chapter and sentence construction. My novel is meant to stand in the line of Fleming's own books, where the story is everything. In his house in Jamaica, Ian Fleming used to write a thousand words in the morning, then go snorkelling, have a cocktail, lunch on the terrace, more diving, another thousand words in late afternoon, then more Martinis and glamorous women. In my house in London, I followed this routine exactly, apart from the cocktails, the lunch and the snorkelling. I found writing this light-hearted book more thrilling than I had expected. I hope people will enjoy reading it and that Ian Fleming would consider it to be in the cavalier spirit of his own novels and therefore an acceptable addition to the line.